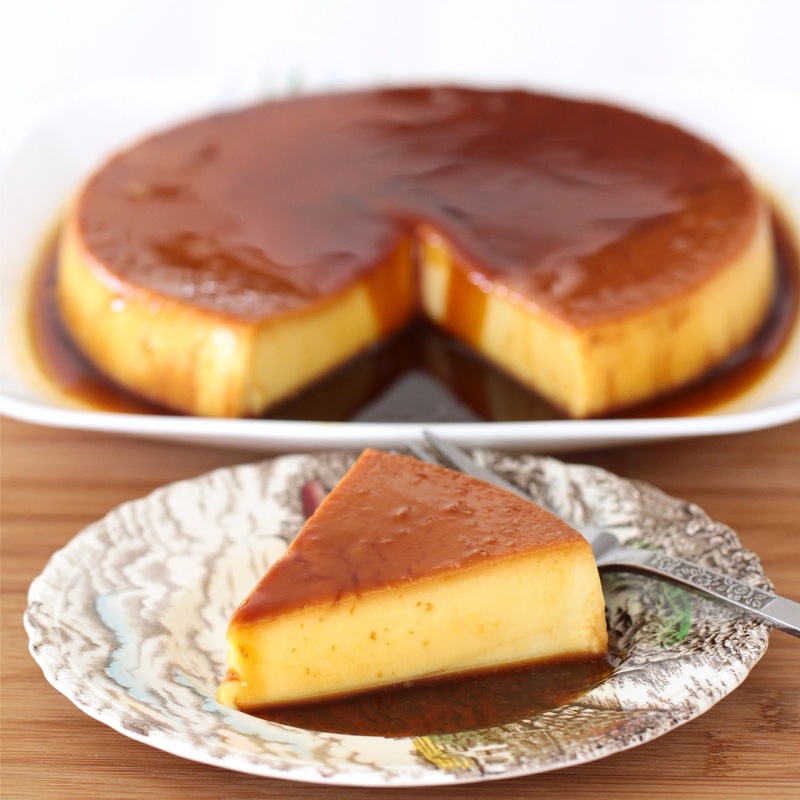 Tilt the flan mold to make sure that both the bottom and sides are coated with the caramel. In a large bowl of a stand or hand mixer, whisk the eggs. Add the milks and the vanilla, whisking slowly until well blended. glass or ceramic baking dish. Fill the baking dish with about 2 inches of hot water. Bake in the oven for 50 to 60 minutes in the water bath. Take out of oven and let it cool completely. Cool in refrigerator for one hour before inverting onto a plate. The caramel will flow over the custard.